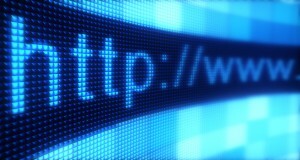 WASHINGTON, D.C. – The majority of Americans support net neutrality rules to prevent internet service providers (ISPs) from blocking or discriminating against lawful content on the internet, according to a new, nationally-representative survey by Consumer Reports. The Federal Communications Commission (FCC) approved net neutrality rules in 2015, citing the need to keep the internet free and open to all traffic. But the FCC’s new chairman Ajit Pai is now advocating for a plan to repeal the rules. The five-member commission is expected to vote on the plan, which has the backing of many ISPs, in the coming months. The Consumer Reports survey finds 57 percent of Americans support the current net neutrality rules, while 16 percent oppose them and 27 percent did not state an opinion. The survey finds strong opposition to practices by ISPs that are prohibited by the rules today, such as the 67 percent who disagree that ISPs should be able to choose which websites, apps or streaming services customers can access. Consumers Union, the policy and mobilization division of Consumer Reports, says these survey results demonstrate why the FCC chairman’s plan to eliminate net neutrality rules should be rejected. The survey also shows the critical need to guarantee that consumers have fair access to the internet. Consumers Union is sharing the survey results today as it joins a coalition of public-interest organizations for the Net Neutrality Day of Advocacy. Public Knowledge, CU and other groups are bringing people to Capitol Hill to urge their members of Congress to support net neutrality rules and oppose the FCC plan to roll back the rules.